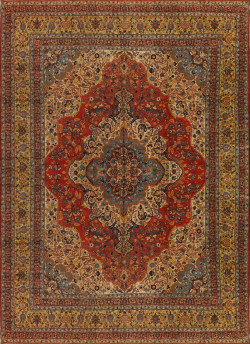 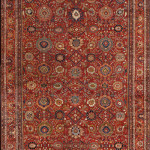 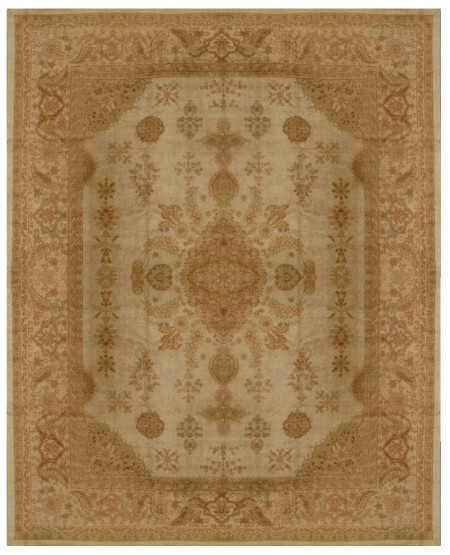 Bijar rug-240302 This antique Bijar runner has a pattern of stylised flowers derived from 18th century Persian silk textiles. 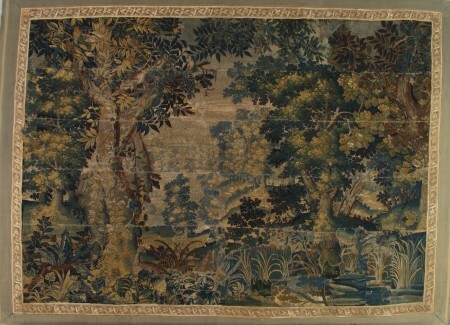 The yellow ground is closely covered by a repeating motif in ivory and dark blue . 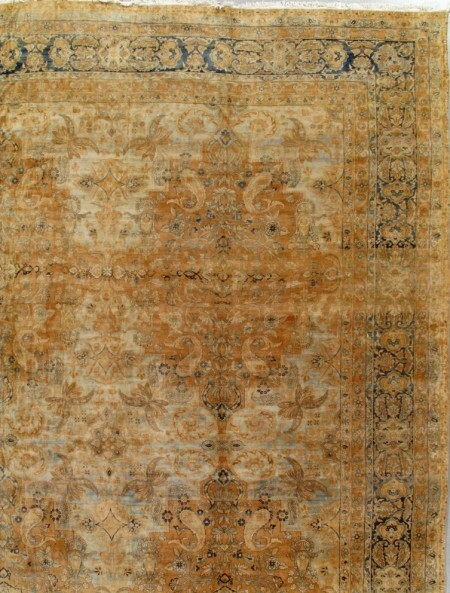 A dark blue border with rosettes in a dense floral pattern contrasts nicely with the field.